Elastic Volume Service (EVS) provides persistent block storage for services such as Elastic Cloud Server (ECS) and Bare Metal Server (BMS).  With advanced data redundancy and cache acceleration capabilities, EVS offers high availability and durability with an extremely low latency. Three copies of data ensure 99.9999999% availability and durability, and security. A disk can sustain up to 33,000 IOPS, and have a max. throughput of 350 MB/s and min. latency of 1 ms.
Ultra-large block storage (max. 32 TB per disk), dynamic online capacity expansion, and pay-per-use option. Features include disk sharing, disk encryption, disk and server backups, and snapshots. Applies to distributed file systems, such as Lustre and GPFS, which require high-performance storage. Ultra-high I/O EVS disks meet extremely high throughput and read/write speed requirements. Applies to read-intensive applications such as RAC and SAP HANA. Ultra-high I/O EVS disks meet low latency and extremely high throughput and read/write speed requirements. Applies to read/write intensive databases such as MongoDB, SQL Server, MySQL, and PostgreSQL. Ultra-high I/O EVS disks meet low latency and extremely high read/write speed requirements. Applies to enterprise office applications such as SAP, Microsoft Exchange, and Microsoft SharePoint. High I/O EVS disks meet diverse enterprise office requirements. EVS provides common I/O, high I/O, and ultra-high I/O disk types to meet your service requirements. Each EVS disk can be expanded up to 32 TB in 1 GB increments. Distributed storage and encryption ensure reliability and protection of data. Suitable for scenarios that feature few transactions and require large capacity and normal read/write speed. Suitable for intensive read/write scenarios that require extremely high performance and read/write speed, and low latency. Suitable for scenarios that require high performance, high read/write speed, and real-time data storage. Each EVS disk has an initial capacity of 10 GB, and can be expanded in 1 GB increments. Resources can be expanded while services are running, and linear performance increase can be achieved. System disks and data disks support data encryption with zero application awareness. Backups are supported, preventing incorrect data caused by application exceptions or attacks. EVS supports real-time monitoring of health and running status of disks through Cloud Eye. EVS disks support point-in-time backups, ensuring the correctness of your data for improved service continuity. 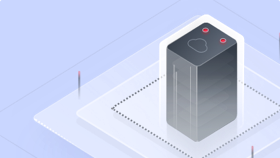 Server-wide backup keeps all your hard work safeguarded and ensures the durability of your data. The read/write speeds and throughput of EVS disks can be monitored in real time. EVS supports user-defined alarm rules and automatic reminders. For scenarios requiring ultra-high I/O, ultra-large throughput, and ultra-low latency. For scenarios requiring high I/O, large throughput, and low latency. For scenarios with fewer transactions and requiring large capacity, and normal I/O and latency. Can I Attach an EVS Disk to Multiple Servers? What Is Elastic Volume Service?